Cancer Treatments that everyone should know. The problem with cancer is that people don’t want to know about it until a doctor tells you, “You have cancer.” I know because it happened to us. I had absolutely NO idea what cancer or chemotherapy meant until we discover cancer in our 2 year old foster son. We received medical advice without knowing anything about this disease-and subsequently faced this tough decision as ignorant parents. We ask for a few days before we begin and make a decision. We do our research and are amazed. The oncology team told us that our son had less than a 2% chance to survive, yet chemotherapy was claimed as the best option. These are horrible odds. When spending more than $100,000 on a treatment, the statistics should be greater than 2%. At 2%, this was a death sentence and we wanted better odds. Did you know there are options to treat cancer? We speak with people who have been through cancer and literally every single one tells us they would never have chosen the path of chemotherapy. Yet, many if not most discovering cancer will submit to chemotherapy almost on blind faith, not even realizing there are so many options. Each person must choose his remedy, so I would never tell anyone what they should do. There is always a risk and half the battle is believing in the choice you make. My effort is to highlight the many successful, alternative options. For our incredible journey, read Our story here. I choose to believe that Medical Doctors and Holistic Doctors genuinely do as they have been trained. There is certainly much to learn from both allopathic and holistic approaches. That is why it is paramount to seek a Medical Doctor that is also a Natural Doctor. A wonderful Cancer Treatment List is provided below! These treatments have been documented and many have better success percentages than 3%. I’ll give a brief, layman’s explanation about each. But you have to do the research for yourself. This list is intended to save you a few steps. We would have loved this list. Dr.Burzynski Peptide Approach-Doctor from Poland, discovered success in studies against cancer during the 1970s; uses healthy human peptides. Gerson Juice Diet– practiced in Tijuana, Mexico successfully in a hospital and San Diego, CA in an institute. This is a plan to juice and starve cancer cells. Want some testimonial? Look at this film. German Freeze Method– clinics also located in America, treatments for 30 years with systemic treatment usage including hypothermia. Cowan Holistic Approach-systemic and bio-individual approach from a Natural Medical doctor who has found tremendous success. Dr. Gonzales Metabolic Method, Natural Medical Doctor who evaluates metabolic type and treats systemically with a customized plan. He uses enzymes, enemas, supplements and more, with tremendous success. Search you tube and listen to his lectures, but be awake; he is fast and brilliant. Essential Oils. There has been a lot of research done in this arena. Get some good essential oils with minimal synthetics! Here is a study on some oils that work well. Source We sell oils in my practice, so contact me if you want some great brands that exists. There are several food grade essential oils; some MLM and some are not. Chemotherapy, really this one needs no link, you will get this information everywhere. Certainly, choose to eat healthy ,whatever method you choose. Be aware that the foods you eat are very important in this time. FACT: When administering chemotherapy, the nurse comes into the room with a hazmat suit? They must be cautious in case this toxin spills. 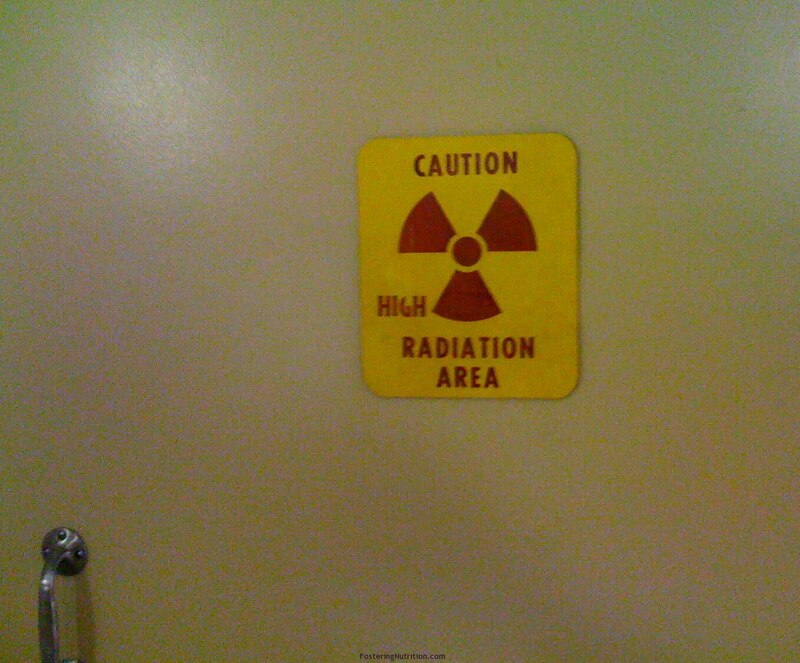 For radiation, metal protective vests are worn with doors thicker than Fort Knox! Whether we choose Cancer Treatments of natural methods or conventional methods, the risks and consequences exists. Don’t let any Medical Doctor, family member, or friend bully you on accepting the “widely accepted conventional approach”. This is truly a personal decision, because you have to live with the decision; good or bad. We are bio-individually created and therefore, unique. With prayer, modifications in diet, and lots of love, it is possible to eliminate cancer and survive. We personally know survivors of cancer from all of the above approaches except Dr. Burzynski. However, we have watched this video containing testimonies of his patients and believe this to be another viable option. May you never have to face these decisions, but the odds are not in your favor as 1 in 5 will face cancer if born after 2000. Knowing how to eat is a great start. Be Mentally Positive– there is power in believing and HOPE. Now you know some great choices for Cancer Treatments…it’s your turn to decide. Share and empower by Fostering Nutrition. I was told in 2009 that without aggressive chemo and radiation, internal and external that I would not live a year. With chemo and rad I was given 5 years with additional surgery for bowel blockages and scar tissue etc. I decided I did not want to subject my body through all that. I decided to live until I died, my way. Well, here it is 5 years later and I am still alive and healthier than I think I have ever been. I did change my eating habits and made many lifestyle changes. Claudia, that is so wonderful!!! Thank you for sharing your wonderful story. We radically changed our eating habits too and the benefits are amazing. Blessings for many more healthy years. I had ovarian (right) cancer almost four years ago! I had Total Hysterectomy. The Oncologists recommend chemotherapy but I decline since it was only Stage 1 and already on menopause stage. It was a tough decision for me but I did not want chemo on my body! That was the hardest decision I made in my life!! But of course, I had also tested for CA 125 and it went down after my surgery to only 19! So sorry! It’s really epidemic how many are getting cancer. Every improvement is success! Please look around my site and others that give you good diet options too. Our food is so important to stay healthy and keep disease away. Be blessed and stay strong! I love this post..thank you…the realness and truth and light of it and you comes through in your writing! I was was diagnosed with Stage IIa colon cancer in June 2012. Had surgery to remove the tumor and realized afterward that surgery does not cure cancer because it is not curing the causes of cancer. My cancer journey has been detoxing my body emotionally, physically and spiritually. The cancer diagnosis was a blessing in that way. My wish is that more and more people realize they can heal through dietary and lifestyle changes. And not poison their beautiful bodies even more. Thanks, Cheri, really glad you found us. I pray you fully heal and recover and help many others.